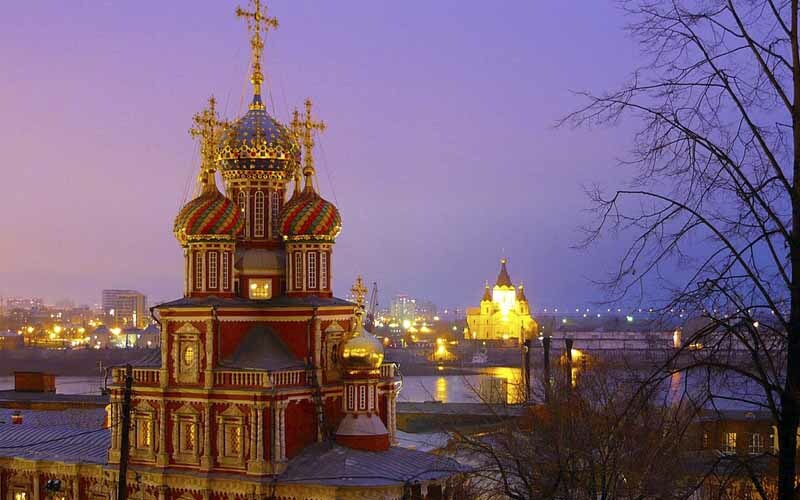 We offer private guided tours in Nizhny Novgorod as well as tours for organized groups. Nizhny Novgorod is a remarkable city located at the confluence of two great rivers, the Volga and the Oka. Founded way back in the 13th century, the city has preserved its ancient look to this day. Amongst the main sights of Nizhny Novgorod are the fortress walls of the Nizhny Novgorod Kremlin, the grandeur of the yesteryears of the Nizhny Novgorod Fair, and the stunning beauty of monasteries, churches, and cathedrals. Preferred time to visit Nizhny Novgorod is late spring, summer, and early autumn. 9 Things you must do in Nizhny Novgorod. Sightseeing in Nizhny Novgorod. 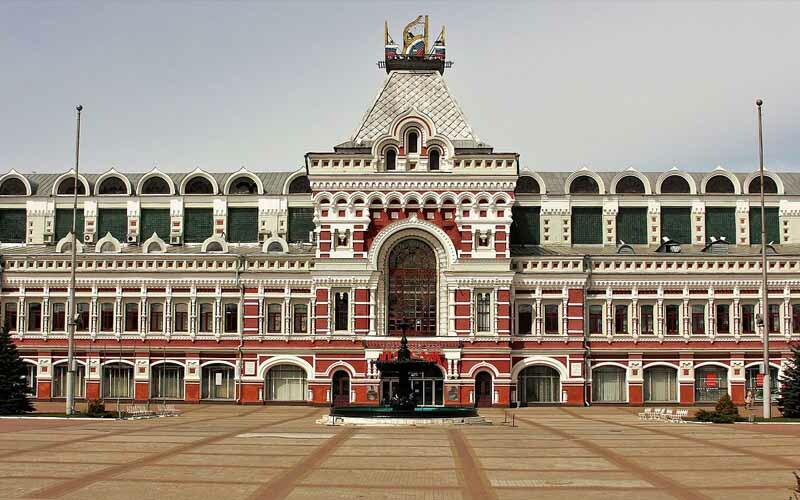 Attractions in Nizhny Novgorod. Nizhny Novgorod City Guide. It is one of the oldest and most beautiful of Nizhny Novgorod churches. The church was built in the late 17th and early 18th-century by a wealthy merchant, Grigory Stroganoff. 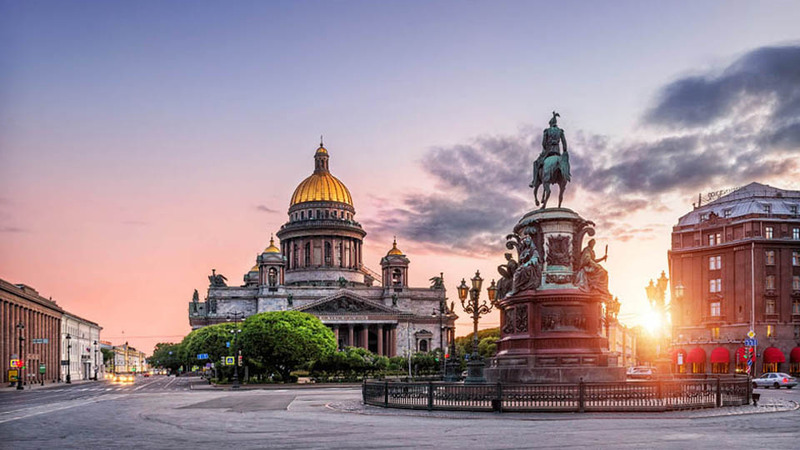 It is one of the finest examples of architectonic style named after him and characterised by traditional, five-nave outline and baroque decor. Stroganoff churches look a little bit like fairytale castles. 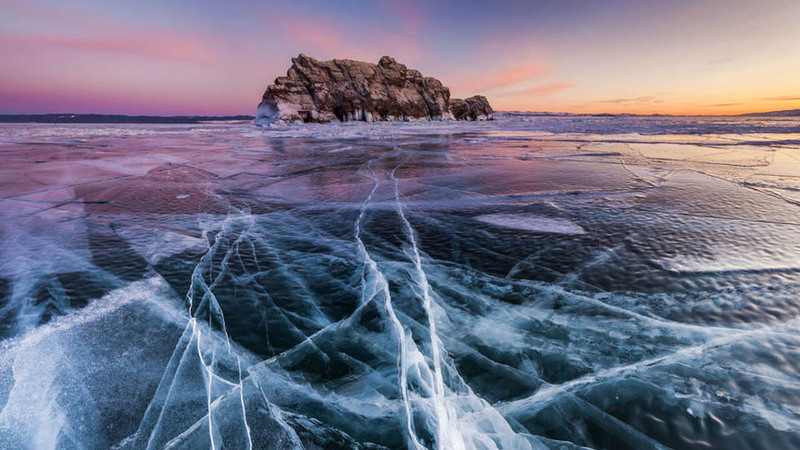 Do not miss the one in Nizhny Novgorod when visiting. Nizhny Novgorod Fair is one of the most interesting Nizhny Novgorod sights. Founded ages ago now it is both a great historical and architectural tourist attraction and a modern and world-known exhibition complex. 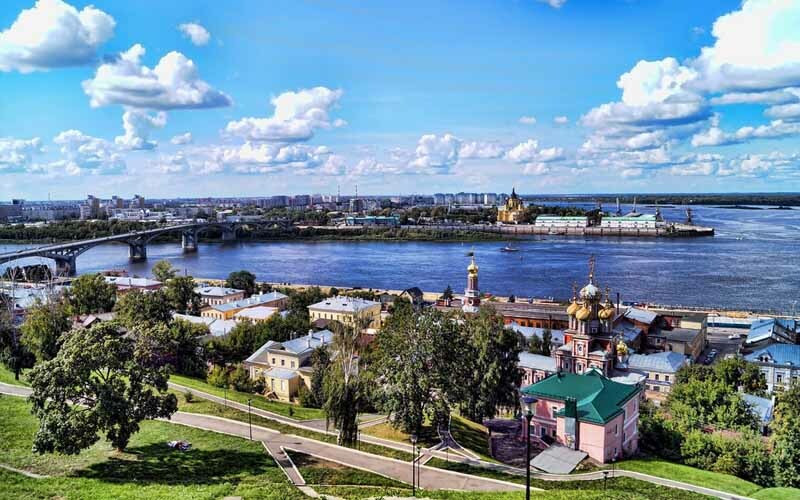 In Nizhny Novgorod it was located in "strelka" ("стрелка", "arrow" in English), at the place two great Russian rivers, Volga and Oka, join, at an ideal marketplace. The fair complex constraction with an area of 500 thousand of square kilometers was led, as a cheaf architect, by Agustin Betancourt (1758-1824), an a prominent engineer. 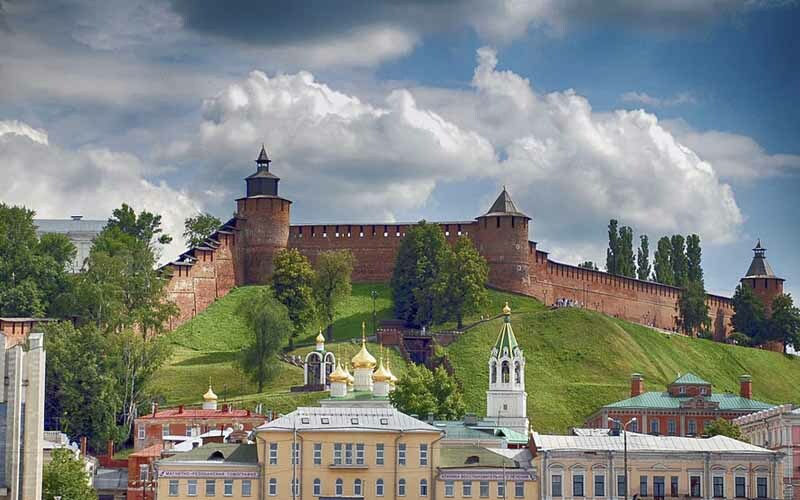 Nizhny Novgorod Kremlin is a historical centre of Nizhny Novgorod, the city heart, and the place that the history of Nizhny Novgorod was started. Nowadays Nizhny Novgorod Kremlin is said as the grandest and the most majestic medieval fortress extant in the central Russia. Designed by an Italian architect, the 13 magnificent towers and the 12 meter high walls of Nizhny’s Kremlin date back to 1500. On this very spot in 1612, heroes of Russian history Kuzma Minin and Count Dmitry Pozharsky defeated the invading Polish army in extraordinary circumstances. Completed in 2012, taking a ride on Nizhny Novgorod’s cablecar has fast become a favorite activity of tourists. The trip offers unparalleled opportunities to view the city’s gorgeous natural landscape from this bird’s eye position. 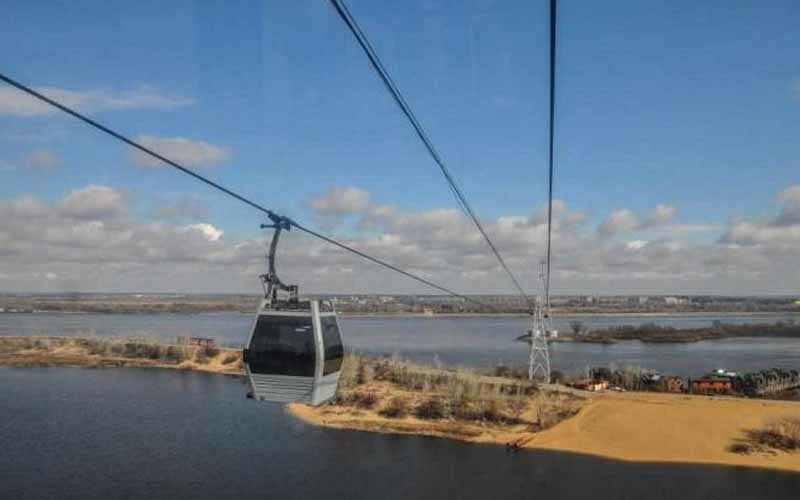 The 3660m long gondola lift connects Nizhny to the town of Bor and stretches across the Volga River for 900 panoramic meters. The gondola acts as both a convenient means of transportation and a fantastic sight-seeing expedition – come at sunset for a golden-bathed view of the river and surrounding landscape. Maksim Gorky, one of the Soviet Union’s most prominent writers and five-time Nobel Prize nominee was born in Nizhny Novgorod. He spent his childhood and early youth here. The city was called Gorky in his honour from 1932 to 1990. 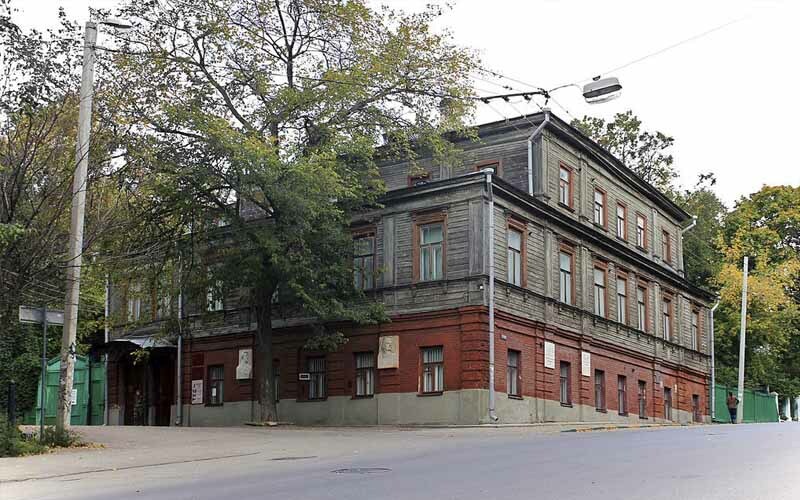 From 1902 to 1904 he was renting a flat in a building at 19 Semashko Street. The flat, which is preserved the exact same way as when Gorky last saw it, is now transformed into a museum and can be visited. Nizhny Novgorod has always been a quite important municipality in Russia. It has given rise to a few wealthy families and the Rukavyshnikovs’ were one of them. Initially a merchant family, some of its members became artists and local activists. 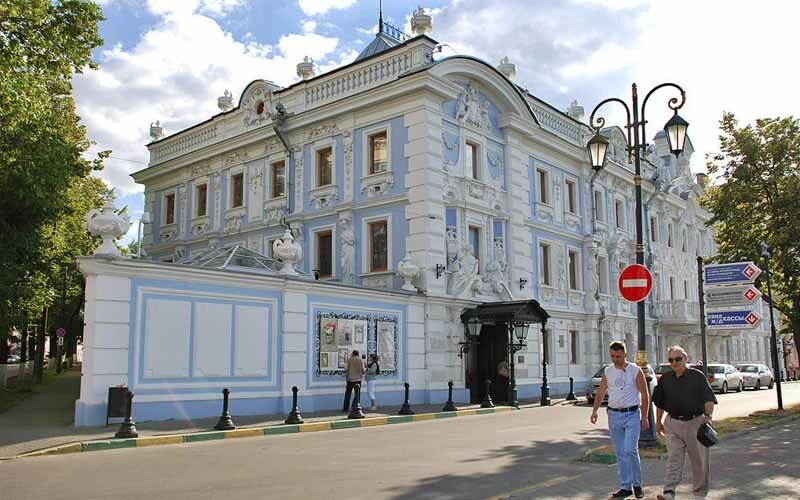 They purchased the building on Verkhnevolzhskaya embankment in the early 19th-century and renovated it to resemble an Italian palazzio. The building was taken away from the family in the Soviet period and housed a few different museums. Now its extravagant interiors are restored to their 19th-century glory and available to visitors. 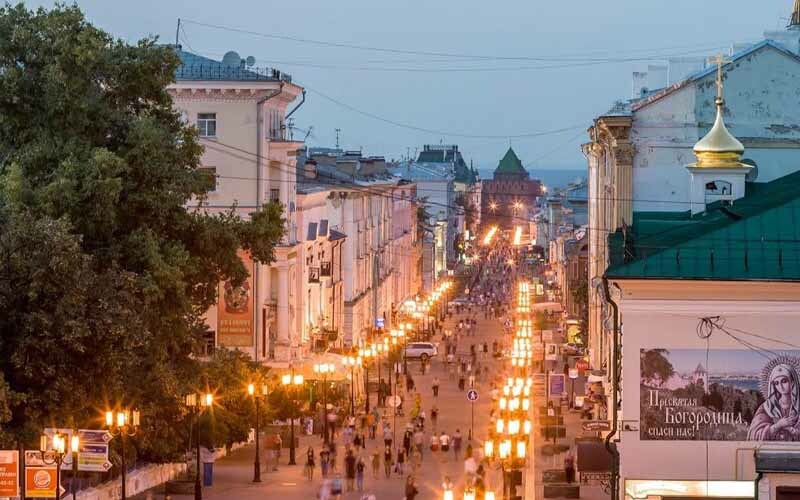 Bolshaya Pokrovskaya is one of the most important, as well as one of the oldest and best-preserved streets in Nizhny Novgorod. The 19th-century streets stretching along both its sides will take you back in time a little. A splendid place for an afternoon walk and a cup of coffee. 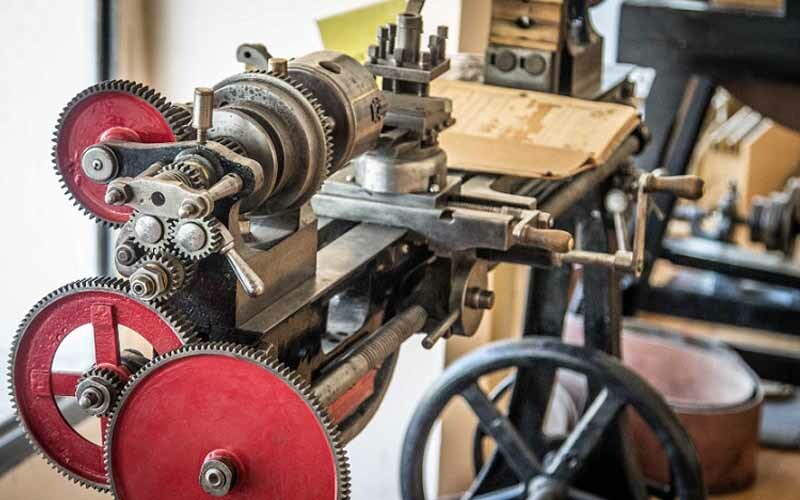 If you’re a fan of old electric equipment of all sorts, this is the place for you. The museum gathered old radio and TV sets, gramophones, telephones, even underwater exploration equipment from various epochs and compiled all of them in one exhibition. It is a museum and a non-museum at the same time, as the visitors can touch all the exhibits (and wear the wearable ones). A perfect place to cultivate the geek in you. If you’re looking for a perfect location for a romantic evening stroll, look no more. Fedorovsky Embankment is the best place for a walk in the entire city, with the panorama of Nizhny Novgorod’s oldest parts visible all along it. 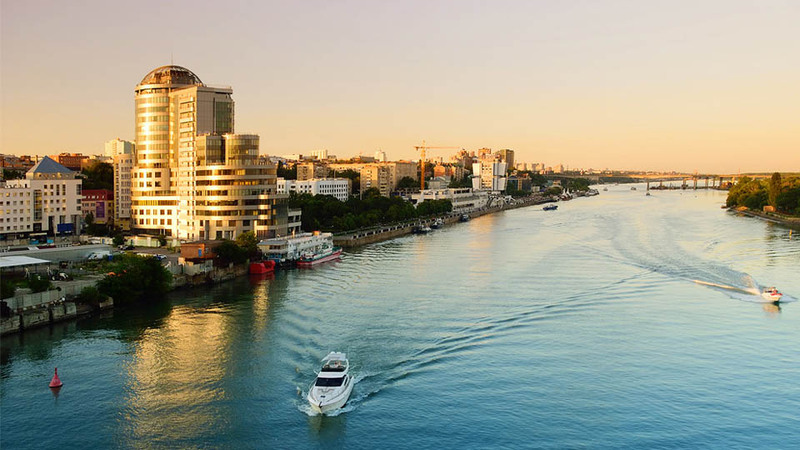 Whether you’re travelling solo, with a loved one or with a group of friends, you should reserve an evening for a walk on Fedorovsky Embankment.